Watching two different morning show promos — one for “BBC Breakfast” and one for Australia’s “Today” — will give you an odd sense of déjà vu. The two spots are so similar, in fact, that they mirror each other word for word in spots. 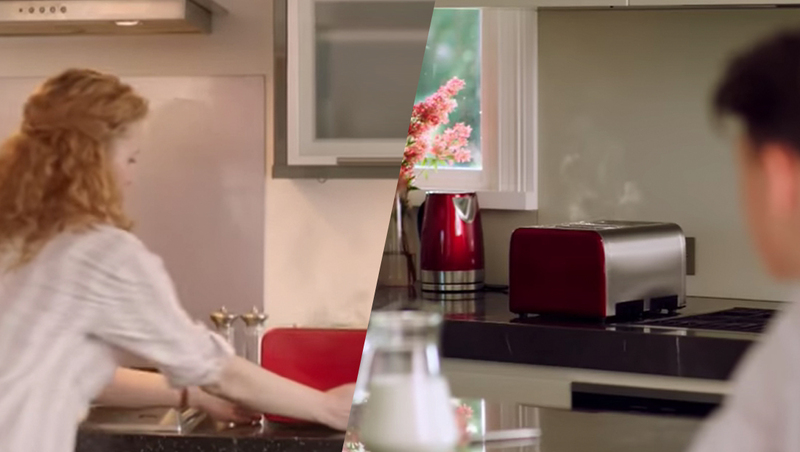 Both spots use the same general concept — showing families getting ready for the day while watching the respective broadcast while being greeted, seemingly directly, by the anchors, or responding to headlines being read — such as a warning about high petrol prices. Perhaps the most damning, however, is a scene in both promos, where the anchors appearing on screen “break the fourth wall” and appear to be talking directly to the audience — including a key point where a viewer — both of them teenage boys — are warned “your toast is burning” by the male anchor. In the kitchen, both boys turn around to see their “mother” at the toaster. Both toasters are even fronted with a bright red panel. The statement does not directly address the BBC’s accusations of copying their promo so closely.